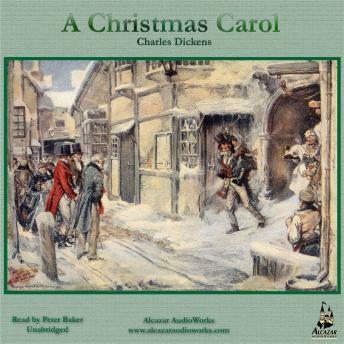 Charles Dicken's 1843 Christmas masterpiece tells the tale of the spiritual redemption of a man who has lost his humanity. The iconic miser, Ebenezer Scrooge hates Christmas and rejects all his opportunities to celebrate. He has no compassion for those less fortunate than himself and is cruel to everyone. On Christmas Eve, Scrooge is visited by ghosts. The first is his only friend, Marley, who warns him to change his ways. Scrooge is then visited by three Christmas ghosts who try their very best to scare Scrooge straight. Scrooge's transformation is the embodiment of the Christmas spirit and his story a tradition for nearly two hundred years. Charles Dickens (1812–1870) was born in Landport, Portsmouth, England, the second of eight children in a family continually plagued by debt. A legacy brought release from the nightmare of debtors’ prison and child labor and afforded him a few years of formal schooling. He worked as an attorney’s clerk and newspaper reporter until his early writings brought him the amazing success that was to be his for the remainder of his life. He was the most popular English novelist of the Victorian era, and he remains popular, responsible for some of English literature’s most iconic characters." This is better than all of the movies. I really enjoyed it.